Protoceratops is a dinosaur which lived around 71 million years ago during the end of the Mesozoic Period. It was first discovered in Mongolia—in the Gobi Desert—by Roy Chapman in 1922. Later in 1923, W. K. Gregory and Walter Granger described the newly found species. 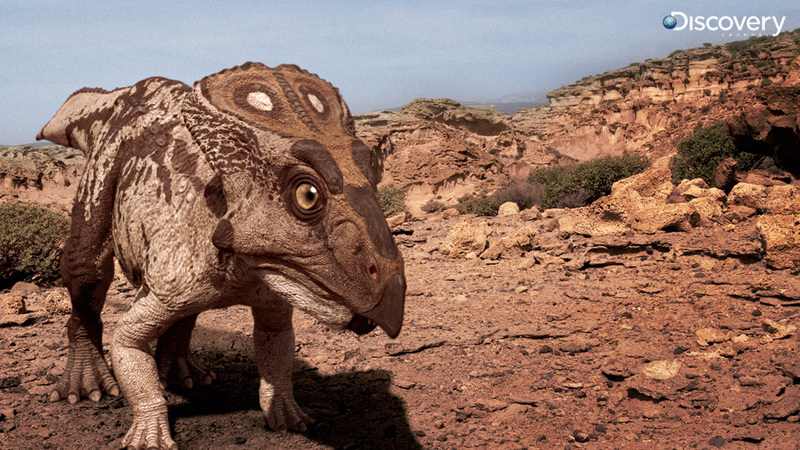 Upon discovery, this dinosaur was almost immediately hailed as the long sought after ancestor of Triceratops. 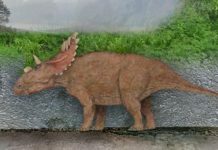 Since that initial discovery, several Protoceratops have been discovered, including one that was preserved with its own footprints in 2011. 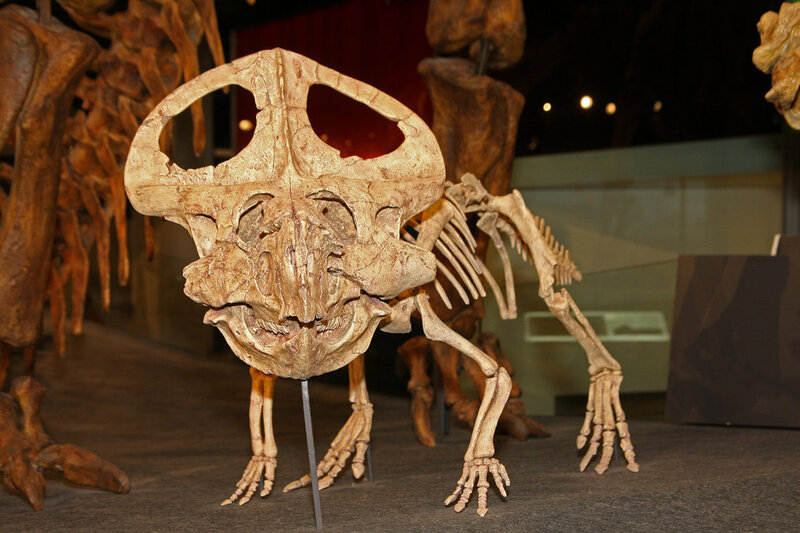 Protoceratops is believed to have been the size of a sheep when fully grown, albeit a very heavy sheep. It was approximately 6 to 8 feet long, 3 feet tall and weighed around a ton. 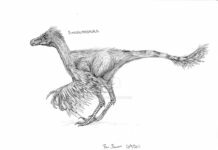 It walked on all four legs, had a bird like beak, teeth in its cheek, and a frill that came from the back of its skull. 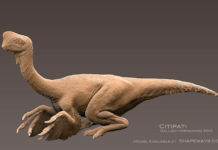 It legs were very short for an animal its size and its feet had 5 toes. Many paleontologists believe that this animal was a herding animal. One that traveled in packs of 6 or more animals. 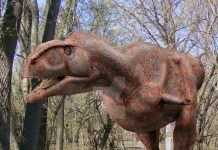 It is also believed that this dinosaur laid and tended to eggs. 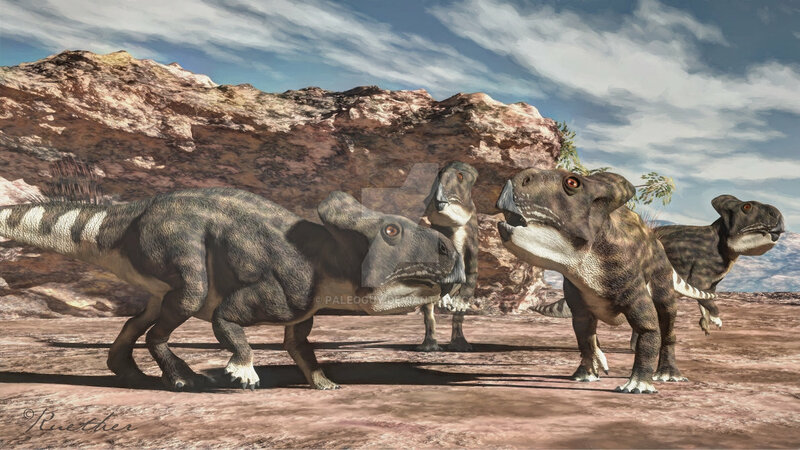 This has been supported by the finding of Protoceratops nests that each had a dozen or more eggs in them. 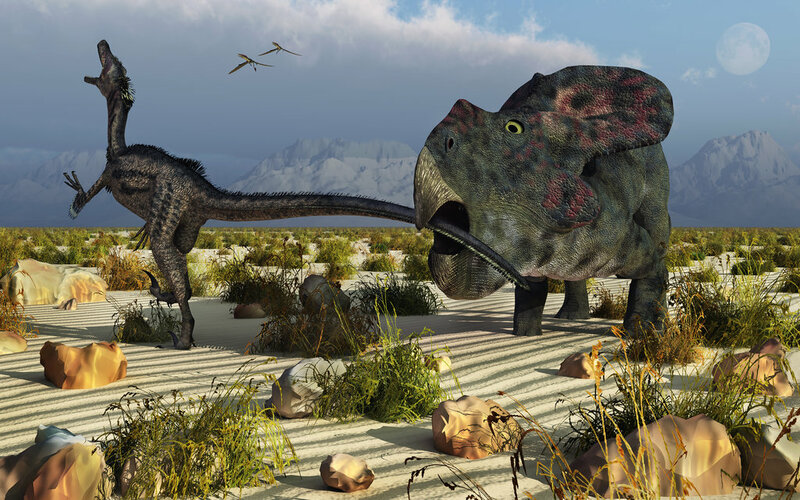 Like most herbivores, this dinosaur wasn’t the brightest. However, the disadvantages of its lack of intelligence was probably offset by its herding behavior. Traveling in packs gave individual dinosaurs a better survival rate than traveling alone. 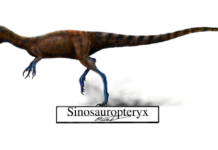 Fossil records show that one of the predators that this dinosaur had to contend with was the Velociraptor, as fossilized remains of these two dinosaur’s have been found together. 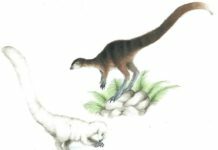 This evidence also showed that these encounters between the Protoceratops and Velicoraptor wasn’t always a death sentence for this dinosaur. In some encounters, it was able to fight off these vicious predators.